Learn what causes herpes itching and what treatments are available to help stop the itch. Based on research cited by the Safe Lab Centre, roughly 500,000 new cases of herpes occur each year, and as many as 20 to 25% of all adults over the age of 15 have developed genital herpes. Herpes is a sexually transmitted disease that is surprisingly common, with more and more cases each year. Its symptoms can also be problematic. At best, herpes is asymptomatic but is still likely to develop some sores. At worst, the itching from herpes can be unbearable, and you may even find that herpes is causing you cold or flu-like symptoms. Most men and women that have Herpes types 1 and 2 develop a herpes itch. It's important to avoid scratching the herpes itch because while it's difficult to spread the disease to others through scratching, it is possible to re-infect yourself if you touch an open area of your skin. However, those that itch often find that the herpes itching can be unbearable without scratching. That's why so many individuals try to find relief from herpes itch. Herpes is a virus that occurs in stages. Whether the primary or the recurrent stage, the herpes itching can last from 2 days before the lesions occur (according to the New York State Department of Health Manual on Herpes), until after the blisters and sores heal. Controlling the itchy feeling of herpes can be difficult, but there are several options you can consider. Herpes cannot be cured, but the symptoms can be managed by using the right management tools. Avoid Irritation – During an outbreak, it's possible to irritate the sores and blisters, and this irritation can be lead to more itching. You should first try to avoid scratching as best you can, both for sanitation reasons and to reduce the itching symptoms. You should also wear loose-fitting clothing over genital herpes, as this will prevent friction from upsetting the lesion. The National Institute for Health and Clinical Excellence advises that any topical cream is dabbed instead of spread to also reduce irritation. Clean the Sores Carefully – Cleaning the sores can also prevent some itching. When the sore is open, those with herpes are also at risk for infection, and infection can cause a fairly severe itch. Dirty wounds may also cause itching from herpes, so general care of your wound is important. Soak in Warm Water – Some experts also recommend soaking your sores in warm water with some type of drying agent, like Epsom salt. The warm water cleanses the outbreak, and the salt helps to keep it dry to ensure symptoms do not worsen. Ice Packs – Ice has a fairly pronounced effect on cooling the lesions. The lower temperature cools the effects of the virus and reduces inflammation – both of which should reduce the amount of itching caused by the herpes outbreak. Baking Soda – Baking soda is a simple but easy way to relieve some of the itching caused by herpes. Baking soda dries out the skin, and while this may not relieve itching altogether, it can be fairly beneficial and a good way to reduce the overall itching sensations. For very mild herpes recurrences, the above home care should make the symptoms more manageable. But for most outbreaks, it's a good idea to complement the home care with some type of herpes itching treatment. Several companies have developed medicines designed to control herpes symptoms. Many doctors recommend painkillers like ibuprofen to control the herpes pain, and these types of medicines can have mild benefits for controlling the itch. Doctors also often prescribe antiviral medications that are valuable for controlling herpes outbreaks. Valtrex and Zovirax are two of the most common, although they're designed more for the initial outbreak as that is when the symptoms are most severe. 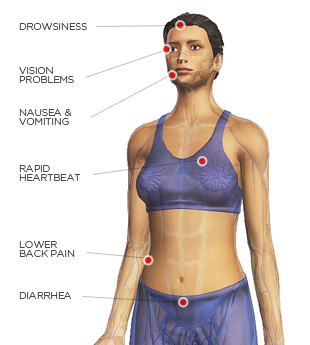 All medicines have side effects. Deadly or dangerous side effects are fairly rare with herpes medications, but some degree of side effects is not uncommon with regular use. Many of those dealing with both herpes types 1 and 2 prefer to avoid pharmaceutical treatments because the side effects can be disruptive and require a prescription. Herbal and natural supplements are known to be side-effect free and do not require a prescription, making them preferable for regular use. L-Lysine – Lysine is one of the few amino acids that cannot be created by the body. Research at Indiana University School of Medicine found that Lysine has the potential to reduce the clinical manifestation of outbreaks. Recovery was accelerated, and as a result, symptoms were reduced. Lemon Balm Powder – Lemon balm is an herb similar to pharmaceutical medicines. It's believed to have anti-viral properties that inhibit the effects of the herpes virus. 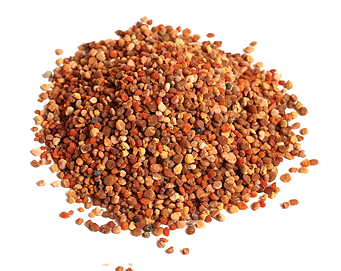 Propolis – Numerous studies have shown that antioxidants have some profound effects on the body. Propolis is no exception – an extract from beehives, Propolis is believed to prevent the virus from replicating, which reduces the symptoms of the disease. There are several anti-viral herbs that have shown promise with reducing the effects of herpes, but the above three are some of the most valuable herbs and nutrients currently available for stopping the disease from progressing and reducing the herpes itch that can be such trouble during your everyday life. Some experts also believe that you should combine natural care with medicines to drastically cut down on symptoms and recovery time. Herpes itching can be a serious problem, but there are ways that it can be controlled. Home remedies will relieve some of the itching, and medications or natural supplements should take care of the rest. Next Article: What is HSV 2?